Being in the restaurant business, you know you have to stay ahead of the curve. And being out front is great, but it’s also important to capture the zeitgeist. The millennials are the segment of the market that is currently driving popular trends. We listed some of those trends here. Because we work with a lot of clients in the restaurant business, we hear daily about what is working and what’s not when it comes to marketing to the millennials. Bragging Rights: Social media matters when it comes to the restaurant business. When you talk to millennials about their most popular posts on Instagram, Twitter, Tumblr and Facebook they are almost always photos of food. Food is social. Food is fun. And discovering a great new restaurant will make you very popular among your foodie friends. 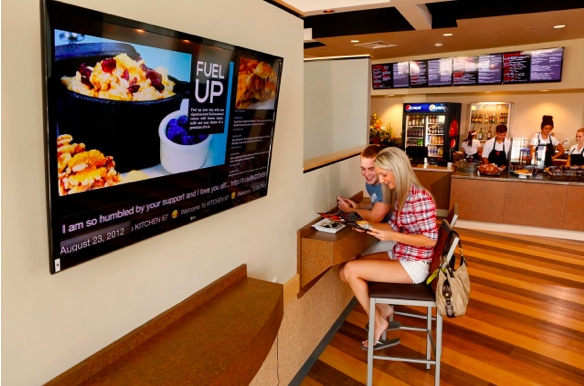 Fast Casual: Fast casual is here to stay. Chipotle continues to give McDonald’s a run for its money. And with good reason. The food is fresh, affordable and delivered in a hip, modern setting. Locally, we’ve witnessed the rise of Blaze Pizza. The founders emerged from Wetzel’s Pretzels and deliberately y set out to become the Chipotle of Pizza. At University Plaza in Irvine, there are usually lines out the door nightly starting at 6PM. Smaller is Better: Playground in Santa Ana is a local restaurant that has captured the Tapas trend in a big way. The servings are of course small but very unique and the menu changes daily. It makes for a very fun and social experience as everyone shares each dish. Beverages Matter: Starbucks changed everyone’s expectations of coffee and, in turn, of all beverages. The craft beer business has exploded, along with tea, spirits and any other category you can name. You can’t just roll out the tap water and expect to impress with your food alone. Drink bragging is just a big as food bragging for Millennials. Eating Healthy: Some have dared to go the opposite way. Check out this 10,000 calorie burger. But no one can deny that eating healthy is here to stay. Every generation prides itself on being smarter than the last and Millennials are no different. They want to live forever and they know that food is one way to get there.